Study Process runs through the year and there are several events come to see during this annual study program. Before coming to the annual examination the roll number slips are issued to the students. The actual purpose to issue the roll number slips is to make the students familiar with their annual examination system. Roll number slip is the key way to enter into the examination hall and at the same time, this is also a date sheet of the annual examination system. So, the date sheet has much more importance. Students can get the roll number slip just after announcing from the relevant board or organization. Regarding every update, the students keep updated here anytime. Students can take the online view of roll number slips and date sheets and they are also allowed to download roll number slips and date sheets. Here we provide the easiest and the friendly method to use the website to find roll number slips and date sheets. We provide the roll number slips or date sheets of almost all the classes and subjects. Here the students can get the roll number slips from all the educational Boards or provinces. As the date sheets or roll number slips issue before the examination process so it is the best reminder to know about the final examinations. Each and every info regarding examination process mention on this roll number slips or date sheet. A complete schedule is arranged regarding examination process, exam centres, roll number, timetables, instructions and basic needs. Students get complete awareness that how to attend the examination. 5th class examination process has now become an advance examination system because the students have to appear for the annual Board Examination system. The board examination system is, somehow, difficult as compared to the private examination system. Through this system, the students have to appear at a strange place under the instruction by the strange staff. This is a strict examination process and this is done by the educational body, for example, the PEC which is running by the Punjab government and conducts the exams by all the areas that lay under Punjab province. Normally the examination process begins in the month of February and the students are to be informed at least a month ago in January by issuing the roll number slips. 5th class roll number slips students can find here at Ilmkidunya.com easily. When the roll number slips issued by the educational body it just after announcing you can find here. The students can take the online view and they can also download the roll number slips here. Students from all the provinces can get their 5th class roll number slip here. 5th class is the basic class of education journey and at this point, the students need much care and guideline to perform their annual examination and for this purpose, all the guidelines and instructions are completely provided onto the roll number slips. For all these basic level students we offer best wishes for the best future and future endeavours. 8th class examination process is, now, conduct under the instructions by PEC. PEC is known as the Punjab Examination Commission which is an autonomous organization. The purpose to build this organization is to lead a better quality education at the middle level. The reason behind it is that the middle level of education is the key to success towards the high education system. So, it is the basic need to make the middle level stronger for getting high excellence in the high-class level. So, that’s why the establishment of PEC came into existence. Every year the 8th class examination conduct by PEC and there are several boards of education are working under PEC. There are thousands of students come to appear for the 8th class annual examination under the instructions by PEC. Every year the final examination of 8th class conduct in the month of February and the students are informed by issuing them roll number slips. The students have issued roll number slips at least a month ago in the month of January. At this point, the roll number slip plays an important role. It is actually a reminder to the students about the beginning of their exams. Students are completely guided through the roll number slips that how they will appear for the final examination process. Through the roll number slips system, there is a strictness implanted into the examination system that is most necessary to make the education system transparent and strong. Here at ilmkidunya.com we offer the roll number slips to the students at the time of the announcement. Students can find these easily and almost students from all the boards and provinces can get their roll number slips from this point at the time of the announcement. 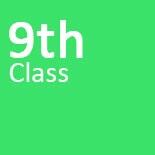 Roll number slips for 9th class are available here. Every year the latest updates regarding education we provide here to the students. Here the students get the roll number slips of all classes. 9th class roll number slip is also presented here just after announcing it from the relevant board or province. The 9th class examination system runs as SSC examination system and it completes in two years which comprised on 9th class and 10th class. 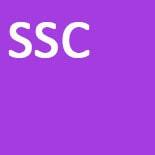 The students who pass both the years are called the SSC pass students. The students are to be called for the 9th class examination approximately in the month of February or March. Before the examination process the students are to be remind by the issuance of roll number slips. These roll number slips are the keys to enter into the examination hall. There are much importance of roll number slips. Roll number slips give the distinct identity of the students to appear for the exams. This is very strict process to appear for Board examination through roll number slips. This is all happens just to make the education system transparent and strong. There are many provinces or boards of education are working under the system by SSC and because of this system the education system got much promotion. Every year the exams conduct by SSC under peaceful as well as strict environment and at the time of result the SSC also shows full clarity and transparency which is the key point to promote the value of education system amongst the masses. 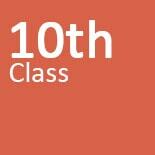 Usually, 10th class annual examination process takes place in the month of March. The students are to be informed by the final date of examination by issuing the roll number slips. The roll number slips are offered to the students at least a month ago i.e. in the month of February. The roll number slips are actually the reminder for the students to make them sure that when and how they are going to be appeared for their annual examination. The roll number slips are also known as the key point for the entrance of the students into the examination hall. Roll number slip offers the distinctive identity to the students which separates a student from other students. This is all happened to bring a strictness into the examination process. And this is the strictness that helps to make the education system strong and powerful. Metric education system runs through the SSC educational body which is the main body that covers several boards of education. There are many jurisdictions come to work under SSC and this is why there are a lot of candidates come to appear for annual examination. SSC conduct examination under the complete peaceful environment and every year it is seen that the result comes to see with full of transparency and satisfaction. All these have become possible by the strong and strict policies of SSC examination system. This is the necessary part of working because of which the education system gets more promotion and importance by the students and other masses. Every year at ilmkidunya.com the students are facilitate with the roll number slips time to time and all other possible help we bring for the convenience of the students. These helping steps are comprised on Date Sheets, 10th Class Annual Result systems and some others related to education. In the month of March 10th class annual examination held round the year. Metric is the main point of education because in these days the education journey takes the start from the metric class. At the inter level the students take the step in the tough education system and for beating this toughness the students have to work hard. In the inter level the students get admission through the high level of the merit system. So, it is suggested to the students to work hard at the metric level to take a good goal for the next education journey. Here at ilmkidunya.com the students are to be prepared for every level or step of education to make good achievements. We offer all the possible helpful materials and contents to the students of every level. Students get Online Preparation Methods to get good results. Students of metric level are to be informed by their final date of examination at least a month ago. For this purpose, they are offered the roll number slips. Roll number slips comprised on date sheets for exams, timetables and all the instructions that are helpful for them. We offer the roll number slips of the matric level just after announcing these by the relevant board of education or organizations. The students can take a view of roll number slips here and also they can download or get prints of their roll number slips. For this purpose just scroll down your p0age and click on the metric section to get the metric roll number slips. Almost all the BISE departments conduct the examination system almost at the same time. It is seen that SSC examination process held round the year and the students, for the annual examination, come to appear in the month of March. The examination process runs for at least a month and after performing examination the students wait for their result and after passing almost 3 months the students get their result. And the next procedure begins then. The whole of the process is scheduled and students are to be informed at every single moment that what is going to be happening. Before starting the annual examination process the students are to be informed with the final date by the issuance of roll number slips. As almost all the boards of education under SSC conduct the exams at the same time so the students are to be informed with the exam date at the same time. Roll number slips are the main factors of the education system. These slips separate the students from each other and these roll number slips give a distinction in the identity. This is the reasons that the students are not allowed to get entrance into the examination system without the roll number slips. Forgetting the roll number slips at the time, we offer the roll number slips here at ilmkidunya.com. Students can find their roll number slips easily through the friendly browsing system. Students can not only find the roll number slips but they can also take a brief view and can download their roll number slips too. Just scroll down the page and by clicking on the SSC section students can get their roll number slips easily. We offer the roll number slips of all the classes or subjects and here at this page you will find the roll number slips for the inter classes. We are going to give you access to get the roll number slips of inter level classes including F.A, F.SC, I.Com, I.CS and all other intermediate level. We provide the roll number slips of almost all the educational boards that are running in Pakistan. Students can get their roll number slips just after announcing the relevant board of education. All the boards of education are known as the main educational bodies and these are comprised on specified jurisdictions. These boards of education conduct the annual examination for Metric and Intermediate classes. The process of examination runs through the year. It is seen that almost all boards of education conduct the Intermediate annual examination process at the same time and normally the examination process scheduled from May to June. In intermediate classes, the students of 2nd year appeared first as compared to the students of 1st year. The students are informed by the final date of their examination by almost a month ago. This reminder is in the form of roll number slips. Roll number slips are the keys to open the entrance into the examination hall. Roll number slips make the students distinct from each other. Moreover, during the examination process students go through a strict process. This is the reason that the education system is becoming stronger and valuable. Every year the annual examination process goes through a completely peaceful environment and the result comes to with full of clarity and satisfaction. Well, for all those students who are waiting for their roll number slips we wish you all the best for their annual examination. Keep in touch with us for your further queries. Here at this page, the students will get the roll number slips of FA classes of almost all the educational boards that are running under Punjab and even Pakistan. There are four provinces in Pakistan and these provinces have several Boards of Education. These boards of education are actually the bodies that are responsible for the whole of the examination process. 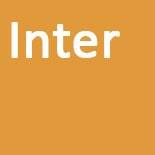 Almost all the Boards of Intermediate and Secondary Education conducts the FA or inter examination at the same time. Usually, it is seen that the annual examination process for FA classes starts in the month of May and it may last till the month of June. Before starting the examination the students are to be informed by the beginning date. For this purpose, the students are provided with the roll number slips. Roll number slips are the main factors of the examination process. Roll number slips give a distinct identity to the students and separate them from others. Moreover, the roll number slips provide almost all kinds of instructions that how to appear for the annual examination. Students are to be informed that the roll number is necessary to such an extent that without this the students are not allowed to get entrance into the examination hall. This thing provides a strictness in the examination process which is necessary to make the education system strong and important. Moreover, the examination process runs through a completely peaceful environment and after passing specific duration the students get their result which always comes to see with full of perfection and satisfaction. All this has become possible just because of the scheduled process by the educational boards. Well, to all the awaited students we give best wishes for the examination success. If are you looking for the detail about the Inter or F.SC class Roll Number Slips and examination process then you are to be informed that you are, now, on the right way. Here we provide almost all possible kinds of information related to the education system in Pakistan. Here the students will find the Roll Number Slips for F.SC classes. As the students know that every year the annual examination process for F.SC classes begins in the month of May and it lasts till the month of June. The students of 2nd year class first appeared for the examination and 1st year students are called at second. The students are facilitated with the roll number slips or date sheets at least a month ago. This is because to make the students aware that when the exams are going to be started. Roll number slips are provided to the students to make them familiar with the time table of their examination process. These roll number slips make the students familiar about the rules and regulations of the examination process. By the roll number slips students get a distinctive identity through which they considered as totally different from others. The roll number slips bring the students into a strict condition which is considered as the necessary part to make the education system strong. 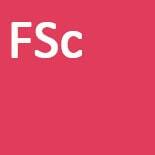 The students of F.SC class can get their roll number slips here at this page. We always provide updated information to the students at the time of their need. Students can take the view of roll number slip and at the same time, they can also download the roll number slips from here. The students are to be informed that the browsing process is so friendly and at the same time it is totally free for the students. For all those students who are going to appear for their annual examination, we wish the best. ICS is an Intermediate education level which is two years degree and the annual examination process runs through the year. 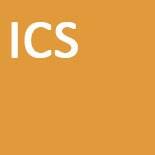 The study for ICS class is scheduled with the annual pattern. The students complete the ICS class in two years. The annual examination of the ICS class conducts in the month of May or June. It is seen that almost all the Boards of Intermediate and Secondary Education throughout Pakistan conduct the annual examination process at the same time. The examination process runs through a complete scheduled which is the best work by the educational bodies. Students first come for the registration processes. After registration, they start their session of studies and several intervals they are asked to apply for examination admission. Students are then provided with the roll number slips just before starting their exams. It is seen that normally the roll number slips are offered at least a month before starting the exams. This is because the students keep themselves ready for the exams. The roll number slips are necessary to make the students aware about the timetables i.e. dates, times and papers before going to attempt. The roll number slips are necessary to make the students aware of the rules and regulations about the examination procedure. The roll number slips are necessary to identify each and every student separately. The roll number slips are necessary to bring the strictness in the examination process. Due to the strict environment, the good come to see during the examination process. Roll number slips students, through a friendly or freely browsing platform i.e. Ilmkidunya.com, can get here. Just scroll down this page and choose your province or city and get your roll number slip. Boards of Intermediate and Secondary Education are running throughout Pakistan to conduct the examination process of all the academic classes. This system is running in all the provinces or even in all the cities for the conduction of annual examination. Right from the establishment of these educational bodies these are working well for the wellbeing of the education system and these are the educational bodies through which the education system in Pakistan becomes stronger and valuable. The thing that is mentionable by these educational boards is that these are working through a specified schedule that scheduled annually. For the intermediate or I.com classes, the students complete the class in two years but they appeared for examination annually. The class is divided into two phases or parts. Every year the annual examination for I.Com class conducts in the month of May or June and the students are offered the roll number slips by a month before starting the examination process. Roll number slips play a vital role in the examination process. Roll number slips are the means of info about the examination process. It provides all the rules and regulations about the examination process. Roll number slips are the keys to get entrance into the examination hall. Roll number slips are the way to make the examination process proper. A strictness brings into the examination process through the roll number slip which is a necessary part to conduct the examination under a completely peaceful environment. It is seen that every year the students of I.Com classes appear for the exams under a completely peaceful environment and the result system by the educational bodies also declared with transparency and satisfaction. So, the roll number slips every year published here at this page for the convenience of our students. These roll number slips students can view and also can download freely at Ilmkidunya.com. HSSC is known as Higher Secondary School Certificate which, an intermediate level of education in Pakistan. It is two years educational level or degree and students pursue this study level at colleges. The examination process by HSSC is on annual base and every year the students appear in the month of May or June for the HSSC final examination. 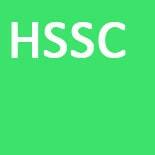 The annual examination for almost all the subjects or Classes under HSSC conduct at the same time. 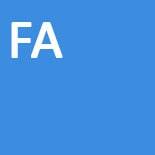 These classes are include on FGA, FSC, ICS, ICOM and some others related. In the Pakistan, the HSSC education system runs through the educational bodies and every city has its own specific educational body. There are four main types of educational bodies and these are Punjab Board of Education, Sindh Board of Education, KPK Board of Education and AJ&K Board of Education. All these boards of education are further classified into several Boards of education according to the cities that are located in these provinces or main boards of Education. The HSSC Students from all the boards of education come to appear for the annual examination at the almost same time. The students of 2nd year classes appeared first as compared to the 1st year students. The students are to be informed by the beginning time of their examination y offer them the roll number slips. Roll number slips are provided to the students at least a month ago and these are the detail about the examination process. So, if you are also looking for your roll number slips then you can find here by scrolling down this page. We always offer the students with all possible kinds of assistance in case of education. Students can take the view of roll number slips here and at the same time, they can also download these roll number slips here. Every year the final examination for BA classes held in the month of April and the students are confirmed with their final examination date by providing them date sheets or roll number slips. The roll number slips are to be provided to the students at least a month ago before the starting date of their examination. For the current year, the roll number slip was also to be published and send to the candidates in the month of March. Bachelor degree in Pakistan is one of the prestigious degrees. Roll number slips are the means to make the education system easy and strong as well. Through the roll number slips the education system enables to recognize each student easily. Here the students can find their roll number slips through an easy and friendly browsing method. Here we provided the roll number slips of almost all the provinces or cities. Students just after scrolling down this page will get the separate sections of boards of education and separate sections of specific study areas. All this made just for the convenience of the students. There are, generally, two moods of pursuing BA degree in Pakistan especially in Punjab. 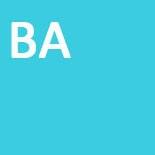 The students are allowed to pursue BA degree as a regular candidates as well as private candidates. There is not much, but, a difference exists amongst the regular and private students. It is delightfully announcing to all the BSC awaiting students that the final date has been confirmed by the University of Punjab and other universities from specified provinces and the roll number slips are going to be issued to the students who are going to attend the annual examination for both the part i.e. part I and part II. According to the schedule arranged by the university, the final examinations are going to be held in the month of April and the students are going to be pleased with the roll number slips a month ago. If you are looking to have your roll number slips and still could not get the right place then you are to be informed that you are now on the right place. Because here at this point you can find the roll number slips from all the universities that are offering a private examination of the BSC classes. Here we provide the roll number slips for the students of Punjab University, Karachi University, AJ&K University, Bahauddin Zakrya University, Sargodha University, Islamia University Bahawalpur, Peshawar University, AIOU University and Virtual University etc. these are the universities that are offer private degree to the candidates the rest are the universities offer the regular degree to the candidates and for regular classes students go through the university or campus examination process. We update the latest roll number slips just after announcing the relevant university. Students by scrolling down this page can get their roll number slip. The browsing method is so easy and friendly that every person can easily use to get benefited. 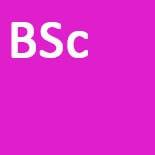 For all the BSC students we wish all the best for their annual examination. 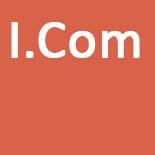 B.Com is the bachelor degree of commerce. It is teaching in almost all the public and private sector universities. There are two moods of B.com degree exists in Pakistan i.e. private B.Com degree and regular B.Com degree. 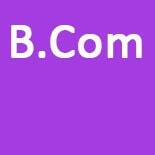 In the universities for the regular students there is b.com honour degree also has the existence. Note that the regular students are called to about final examination according to the rules and regulations by the universities. It may differ from the different universities. But for the private students, a common method runs for the annual examination. The private students come to appear for the annual examination of B.Com class in the month of April. Every year the private examination process of B.com classes runs through the complete peaceful environment. For bringing the peacefulness in the examination process there are some necessary steps have taken by the universities and authorities. From these, the one is to follow the roll number slips system. Roll number slips are the real identity of the students and these are also considered as the key for the entrance into the examination hall. Moreover, the roll number slips make a student different from others. 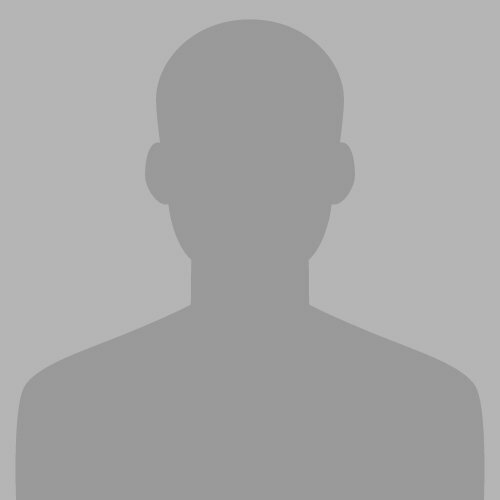 Furthermore, it also offers all the rules and regulations for the candidates that how to appear for the examination. In short, we can say that the roll number slips are the basic need to run the examination process. These roll number slips are offered to the candidates almost a month before starting the examination. Here at this point i.e. Ilmkidunya.com we provide the complete info regarding roll number slips to the candidates. We publish the roll number slips just after announcing these from the relevant universities. We offer an easiest and friendly method of use to get the roll number slips here. Students are allowed to download their roll number slips freely. So, scroll down this page and choose your university and get the roll number slip. 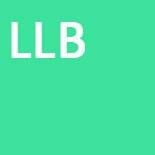 LLB is known as the bachelor of law or undergraduate degree in the law field. Currently, in Pakistan, there are two types of LLB study programs are teaching. These are LLB three years study program and LLB honour degree program which is about to four yeas degree program. LLB is considered as the professional as well as an academic degree. This degree teaches the students about different kinds of legalism about Pakistan including judicial, legislative and executive system. The degree is not only limited about the Pakistani legal relations but this also provides the knowledge that how the other countries in the world are running their legalism. LLB is a regular study program and the students are not allowed to pursue this degree privately. There are a lot of universities are located in Pakistan. These are comprised on the public sector as well as private sector universities. There are, not so much, but a difference exists among almost all the universities in case of the examination process. The students in almost all the universities and law colleges come to appear for the annual examination on annual bases. There is a specific method of examination every university reveals. Mostly the semester or annual systems run in the Pakistani Universities. Universities and law colleges offer date sheets or roll number slips to the students before starting the examination process. The purpose to issue the date sheet or roll number slip is to make the students aware from the actual date and timing of the exams. 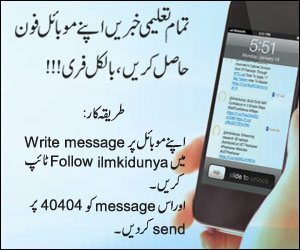 Here at ilmkidunya.com we provide almost all possible info to the LLB students. Students can get the idea about the admission process, result system and roll number or date sheets here. Keep in touch with us and get benefited as much as you need. MA degree is the common degree in Pakistan but at the same time, it is one of the most prestigious. The Mater degree is teaching in the universities of Pakistan in several fields of life. These fields are included on Science, Engineering, Medical, Finance, Business and Humanities & Arts etc. Master degree in Pakistan is teaching in generally two moods. The students are allowed to study master as a private candidate as well as regular candidates. Regular candidates can get admissions in both kinds of universities i.e. private sector universities and regular sector universities. The teaching method of these kind universities is, somehow, same but there is a difference also exists in the teaching methods. On the other hand, private students are limited to specific universities and specific subjects. Normally, the universities that offer the private degree system are included on Punjab University, Karachi University, AJ&K University, Bahauddin Zakarya university, Sargodha University, Islamia University of Bahawalpur, Allama Iqbal Open University and Virtual University etc. The private candidates run through the annual examination system. They are called to appear for final examination every year. Private candidates pursue a master degree in two years. The students first of called for the registration and then they start their study after a certain interval of time they are asked to submit their admission and after submitting the admissions they are called to appear for the examination. Usually, the annual examination for master degree conduct by these above-mentioned universities in the month of June or July. The students are informed by their examination detail about a month ago by issuing roll number slips to them. These roll number slips bestow a specific identity to the students to appear for the annual examination. Here at Ilmkidunya.com we offer the updated roll number slips to the students. 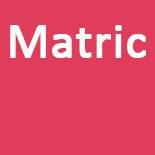 By scrolling down this page the students will get the section of Boards or Universities. By clicking on their chosen university they can get the roll number slips. 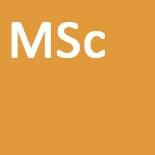 M.SC is a master level of science education. It is one of the most valued degrees in Pakistan because it provides the knowledge of mater level at any science field. Universities in Pakistan offer or teach MSC degree in various fields of life. These fields are comprised on Computer Science, Engineering, Medical, Social Business and other fields. Now, in Pakistan, the MSC students can get a degree in both moods of education i.e. private degree and regular degree. There are several kinds of universities are located in Pakistan. These universities include private sector universities and regular sector universities. Both universities offer admissions for regular candidates. They get admission after going through the specific selection criteria by their chosen university. The regular degree is, somehow, different from the private degree. Regular students can get admission in any of the field offered by the university and the examination process is also specified by the universities for the regular study program. On the other hand, the private degree is limited. Because there are few universities that offer the private degree to the candidates. The universities in Pakistan that offer private MSC degree to the candidates are comprised on Punjab University, Karachi University, AJ&K University, Bahauddin Zakarya University, Sargodha University, Islamia University of Bahawalpur, Allama Iqbal Open University and Virtual University etc. The students also limited to the subjects which mean to say that they are not allowed to get admission in any area of education, instead, the following some limited subjects offered by the universities. Private candidates are called to appear for exams on annual base and it is seen that the examination process starts in the month of June and it lasts in the month of July. The universities offer roll number slips to the candidates almost a month ago. For MSC annual examination the students can get the roll number slips here at ilmkidunya.com. Here the students can find the roll number slips for M.com class. Students are offered with an easy and friendly browsing method to find the roll number slips here. We provide the roll number slips for almost all the province or universities located in Pakistan. 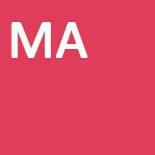 M.Com is the master degree in the subject of Finance and Commerce. There are a large number of universities are located in Pakistan that offers M.Com study program to the students. 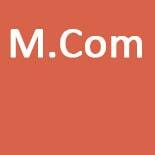 M.Com is the study program that the students can pursue in any one of the two education methods. The one is the regular degree program and second is the private degree program. The regular degree is the program that is an offered by almost all kinds of universes including public sector universities and Punjab University, Karachi University, AJ&K University, Bahauddin Zakarya University, Sargodha University, Islamia University of Bahawalpur, Allama Iqbal Open University and Virtual University etc. private sector universities in Pakistan. The regular degree is teaching in a specified manner by the specific university. On the other hand, the private degree program is, somehow, different from the regular degree program. In the private degree program, the students are not allowed to get into the university for study. They just get admissions from the university but they prepare their studies on their own. The students go through an annual examination system and they cover the whole degree in two years. The universities that are offering private M.Com degrees are include on Punjab University, Karachi University, AJ&K University, Bahauddin Zakarya University, Sargodha University, Islamia University of Bahawalpur, Allama Iqbal Open University and Virtual University etc. the students are called to appear for the annual examination by these universities in the month of June or July. The students who are going to appear for the examination process are informed that they will get their roll number slips at least a month ago. For getting roll number slips students just scroll down this page and select their university and get the roll number slips. Here we publish the online roll numbers slips just after announcing the relevant university.